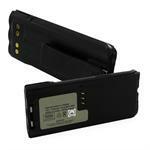 BP-8923AA : Alkaline Battery Case for Motorola XTS3000, XTS3500, XTS5000 radios. Load with 6 x AA alkaline cells for instant power ! Pricing is for 1 battery case. Picture shows 2 views of the case. HNN8294 : 7.5v 1700mAh rechargeable NiCd battery for Motorola XTS3000, XTS3500, XTS5000 radios. Includes belt clip. 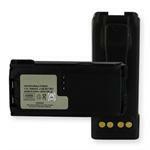 HNN8923 : 7.5 volt 3800mAh SUPREME rechargeable Ni-MH battery for Motorola XTS3000, XTS3500, XTS4250, XTS5000. 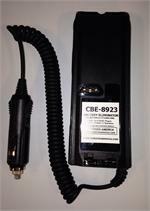 HNN8923 : 7.5 volt 3800mAh LONG-LIFE Ni-MH battery for Motorola XTS3000, XTS3500, XTS4250, & XTS5000 radios. Includes heavy-duty Belt Clip. Replaces NTN8923, NTN8294, NTN9858, RNN4006, etc. 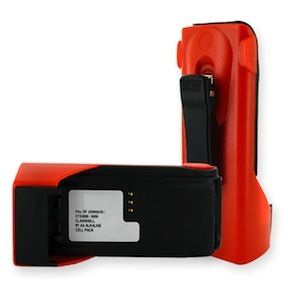 HNN8970 : 7.4v 3400mAh rechargeable Li-ION battery for Motorola XTS3000, XTS3500, XTS5000 radios. 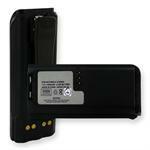 HNN8970: 7.4v 3400mAh rechargeable slim Lithium ION battery for Motorola XTS3000, XTS3500, XTS5000 handheld radios. Includes heavy-duty spring-loaded belt clip. This battery can be slow-charged or rapid-charged. Replaces NNTN8970AR. HNN6034A : 7.4v 4200mAh LONG LIFE Li-ION battery for Motorola XTS3000, XTS3500, XTS5000 radios. HNN6034A : 7.4v 4200mAh LONG LIFE Li-ION battery for Motorola XTS3000, XTS3500, XTS5000, COSMO, DAYTRON GUARDIAN, G25RPV100 radios.